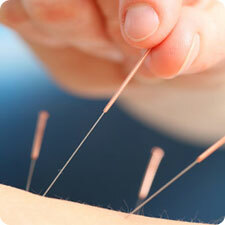 Acupuncture is an ancient system of healing which has been practised in the Far East for centuries. It involves the insertion of fine needles into specific points of the body. These stimulate energy which flows through the body along a series of channels just below the skin, encouraging a person’s own healing response. Acupuncture aims to restore the natural balance and harmony of both body and spirit.